A flight cancel (changed to a later flight) and then delayed caused us to make it with just 2 hours to spare before countdown. I had booked Traders Hotel across from the Petronas Towers since they were #1 best spot in KL to see the New Years fireworks according to trip advisor. Considering that it’s part of the Shangri-La group and a 4 star hotel, it’s actually not too pricy. Sky Bar was located on the 33rd floor of Traders hotel. Of course that night it was packed with people. I haven’t been to a club or bar scene in so long I completely forgot to book a table. 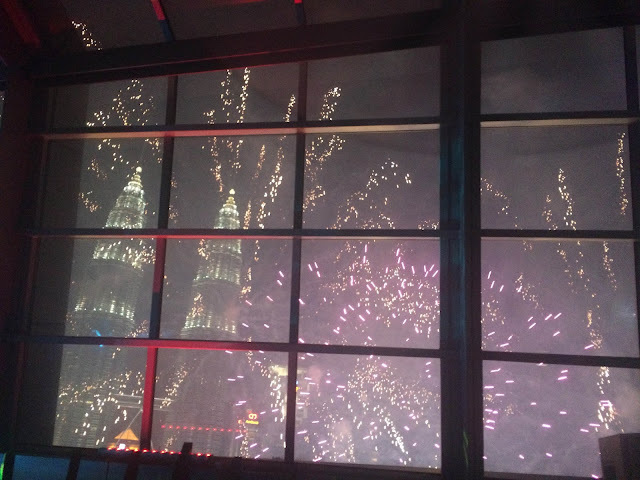 But we still managed to find a pretty decent spot with full view of the Petronas Towers and the fireworks. It was mind blowing; the fireworks were directly in front of our eyes and even below us. It was so close the 3-floor window wasn’t big enough to fit all of it. Soon after fireworks ended, we headed back to the room to get some sleep as we have a full day agenda to kick off 2016! We started out from KL at 6:45am in the morning. 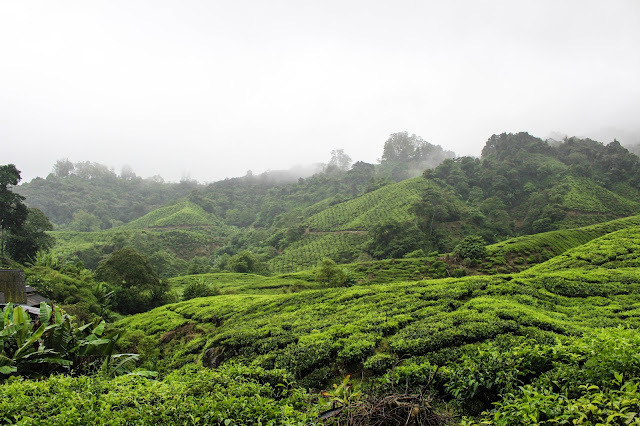 The drive to Cameron highlands was around 3 hours long. It was Northwest, but it’s faster to drive along the east and then cut west into Cameron highlands area. I knocked out and fell asleep quick after getting on the van. 2 hours out of KL we stopped at a resting station to pick up breakfast and some water and snacks for the rest of the day. Our driver/guide was this Indian dude who had been living in Malaysia for a long time. He must’ve been around his 60s and was really funny and cheerful. He was originally serving the Malaysia Air Force, but has been a driver for maybe 10-15 years? He’s met a lot of interesting travellers and some even keep coming back to visit him! 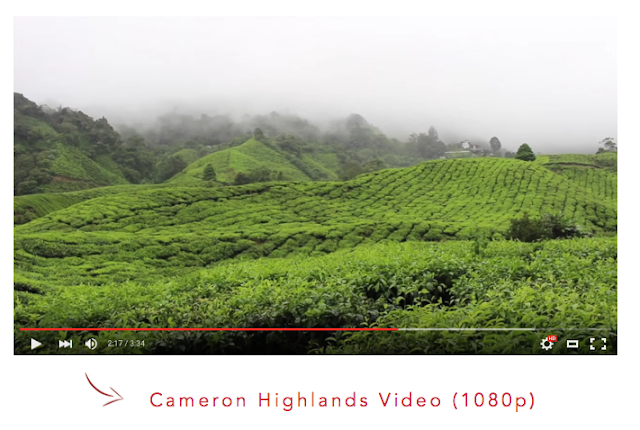 He also had a lot of random stories to tell about Cameron highlands, the indigenous people who live in Malaysia, the history of Malaysia, and so on. It was really nice because I hear about guides who just drive you around, tell you to get off and walk around and force you to buy things. We decided to do everything in the opposite order as usual tourists to avoid the crowd and that was the best advice/decision from our guide. We drove directly to almost the top (1600m above sea level) and worked our way down. (On our way down the traffic was so bad there was no way getting into Cameron highlands without at least an hour’s wait. The queue of cars must’ve been several kilometers long.) The first stop was a Strawberry farm. There are loads of them, but the one we went to is 100% organic and they don’t use any pesticides. You can either pick your own, or just buy a ready packed box. They were smaller than normal strawberries, but it was much more sweeter. The main agenda was the BOH (Best of Highland) tea plantation. It’s the most recognized household tea brand in Malaysia. 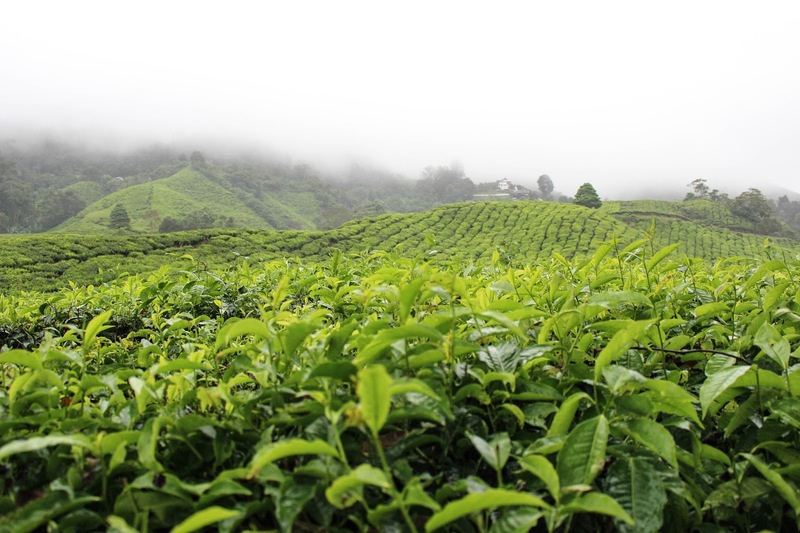 A British man opened the tea plantation in the early 1900s when he discovered that the altitude and climate of the Cameron Highlands area made it a perfect location for a tea plantation. The Acers and acres of tea bushes are so cute!! It was raining a bit but I’m actually glad, because the photos come out so much better when it’s rainy as supposed to when it’s sunny (the colors become all washed out). We sat down to have a nice fresh jar of tea and walked down the plantation for more photos. Just before lunch we stopped by a butterfly garden. There was actually more than butterflies! There were many beautiful flowers, some farm animals, flowers, and reptiles. 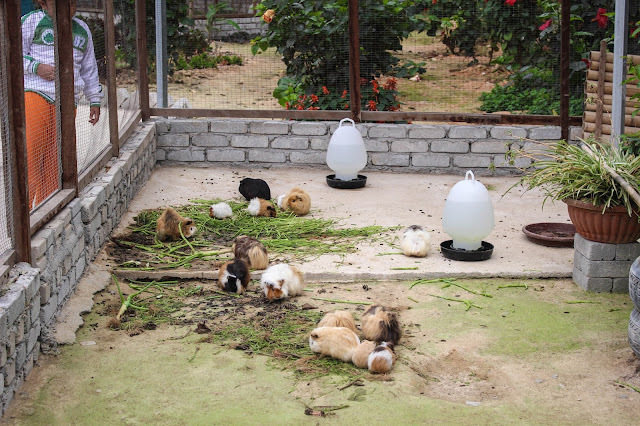 It was more like a mini farm/zoo. The best part was the pen full of guinea pigs! They are just such cute little things. 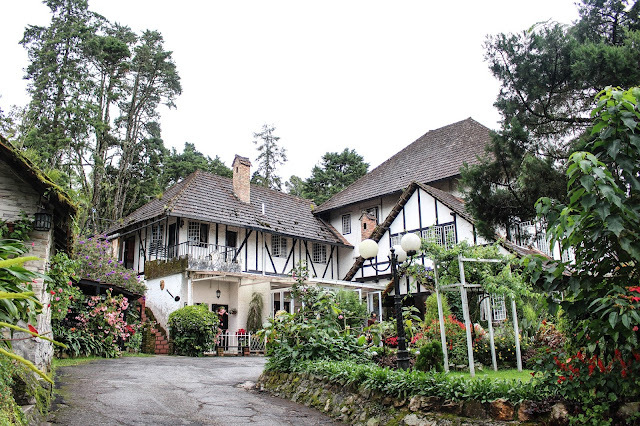 Another 20 or 30-minute drive from the butterfly garden was a busy street full of restaurants just below Brinchang area. We had some Indian curry for lunch before heading down. The last stop before heading back on the main highway was a waterfall called Lata Iskandar. There were a lot of local little shops around there selling various hand crafts, fruits, and produces from the area. 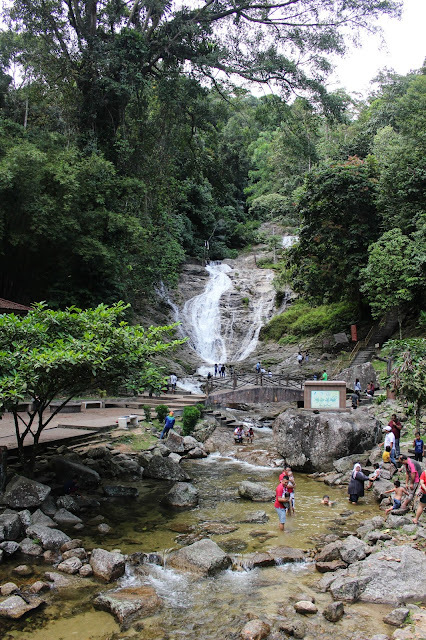 Children were also playing in the water at the foot of the waterfall. 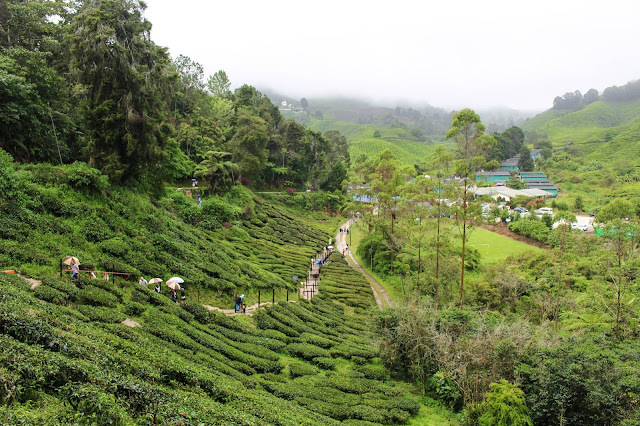 The day had gone by really quickly, since getting to Cameron Highlands from Kuala Lumpur City Center was a longer journey, and once you’re there, there is just so much to see and do! We didn’t get back to our hotel until later at night so we nipped out quickly to Bukit bintang to find some food. What a way to kick off 2016! 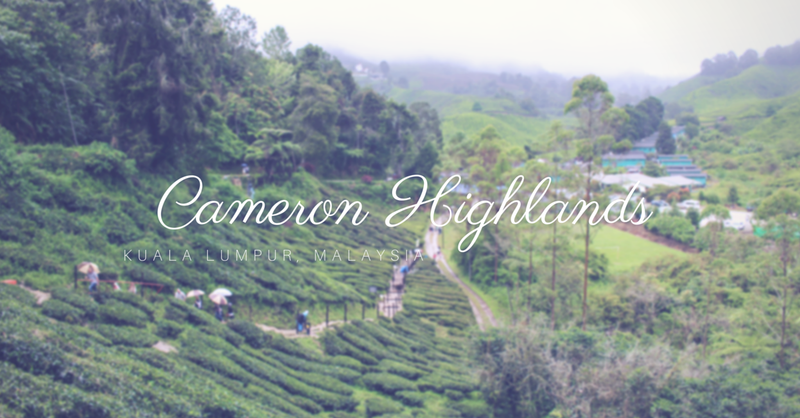 Cameron Highlands was absolutely stunning and I would say is a must if you are travelling in Kuala Lumpur area. 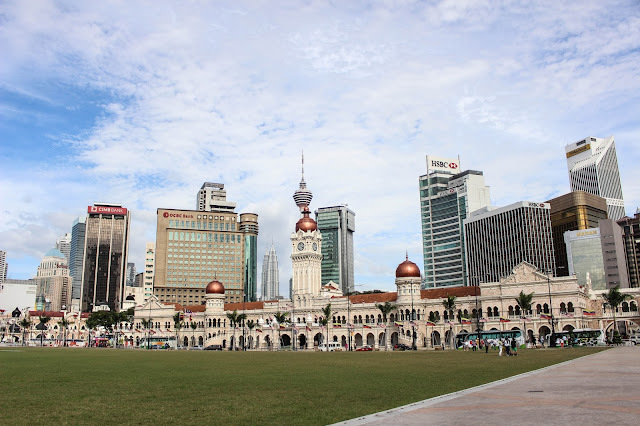 For the second full day in KL, we decided to explore around the city itself. There are several different train lines within the city, like the monorail, the subway, and the train. But they are all different systems so you can't just transfer smoothly without exiting gates and purchasing separate tickets. Despite that, it was still quite easy to get around. 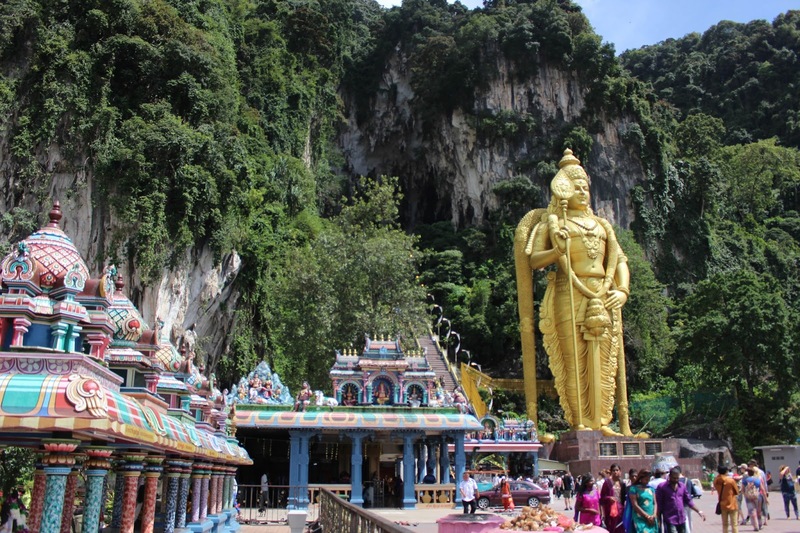 The first stop, and perhaps one of the most famous spots in Malaysia is the Batu Caves. It was at the end of the Pelabuhan Klang line. 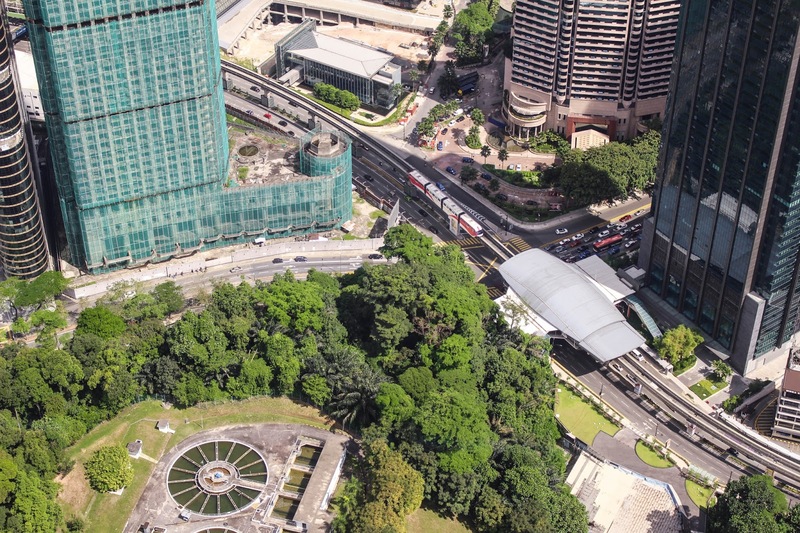 This was a train service running on really old tracks, so from KL Sentral was almost an hour. Most people on this train was going to the Batu Caves, whether it's locals going for prayers, or other tourists. It's free to enter the shrine, however Women must have their feet covered. So if you are wearing shorts (which is reasonable considering it was 35 degrees outside on January 2nd), you must rent a scarf like thing to cover your legs. You pay 5 ringgit and get 2 ringgit back. They were also doing some construction at the actual shrine, and as you know it's a 272 steps to the top. So the lazy construction workers handed their heavy bricks to some confused tourists to bring to the top, as if it were a tradition or a must-do. The cave was massive! But since it was crowded with people, there were no longer any animals inside. Just a few pigeons and monkeys. 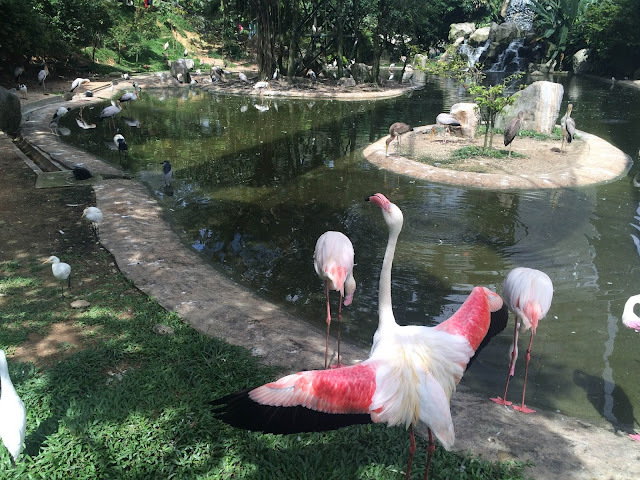 After a visit to the Batu Caves, we headed back to city central area to go to the KL Bird Park. It's the world's largest free-flight walk-in bird park. What that means is, it's built under a giant net that spans across multiple sections of the park (a whooping 21 acres). 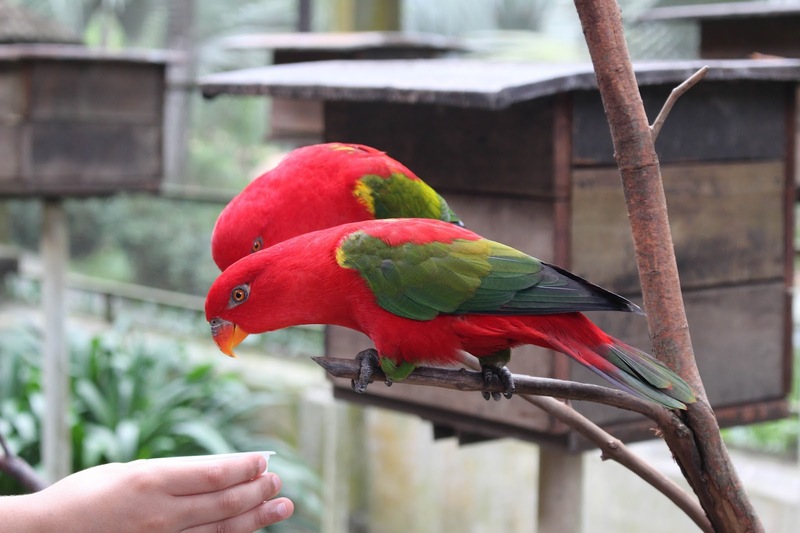 The birds are free to roam wherever they want, which means no cages! Humans can interact with the birds directly. Inside the park they also have some habitat areas built to mimic real life nature, like forests, rivers, lakes and so on. 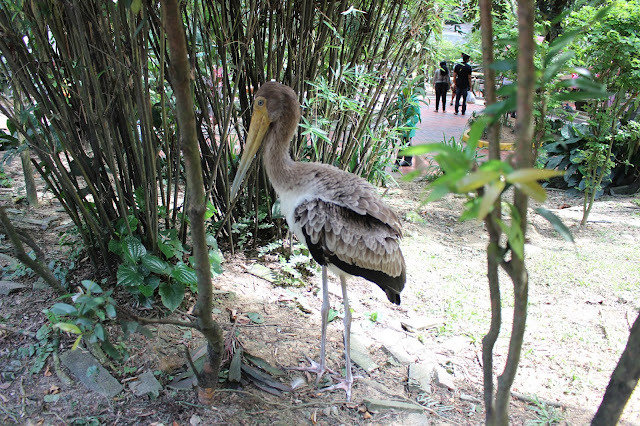 They have over 200 species of birds in the park ranging from peacocks, eagles, ducks, flamingos, ostriches, parrots, and many other birds I can't even name. 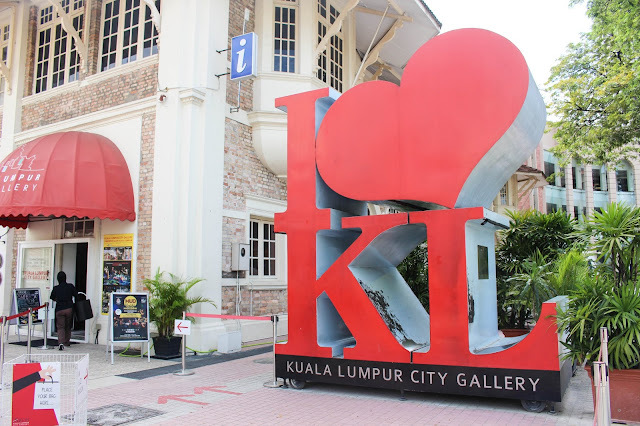 Around the KL City Gallery area, there are also many beautiful buildings, such as the textile museum, KL Railway Station, and the Sultan Abdul Samad Building (government building - Federal Court of Malaysia). They are both beautiful by day and at night and worth going for photos, as well as a stroll. 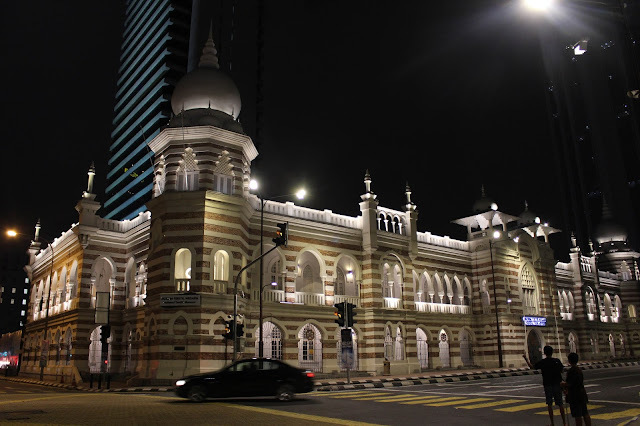 At night they close off the road in front of the Sultan Abdul Samad Building, and the lawn area is opened for people to sit there and relax. I really appreciate that in particular since you don't really find that in Hong Kong. 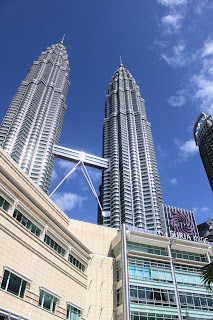 Back to the KLCC/Petronas Towers area, I had my first opportunity to do some shopping on this trip. 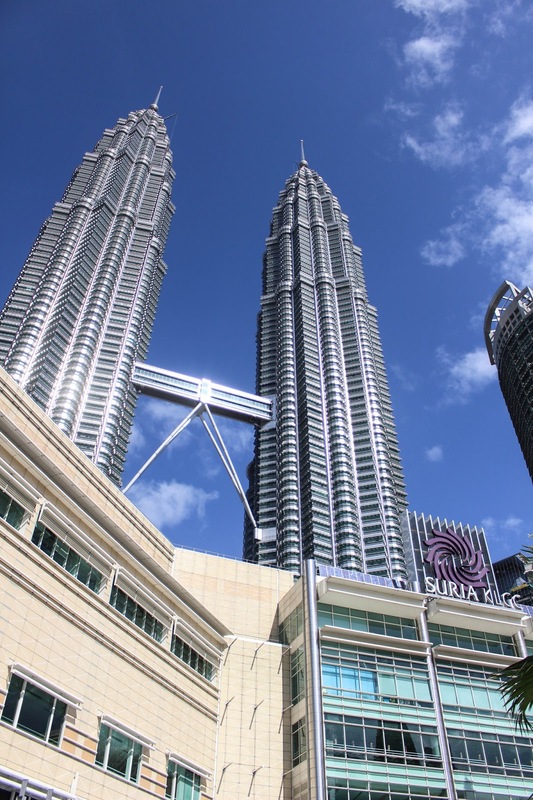 There is this big outdoor area with a park, a large fountain, and surrounding it is the Petronas Towers, as well as many malls and hotels. It was the perfect place to go shopping for brands you don't find wherever you're currently living. For example, in Hong Kong we don't have Sephora and Bath & Body Works, so those were the the shops I was looking for. For dinner, we went to THIRTY8 at the Hyatt. 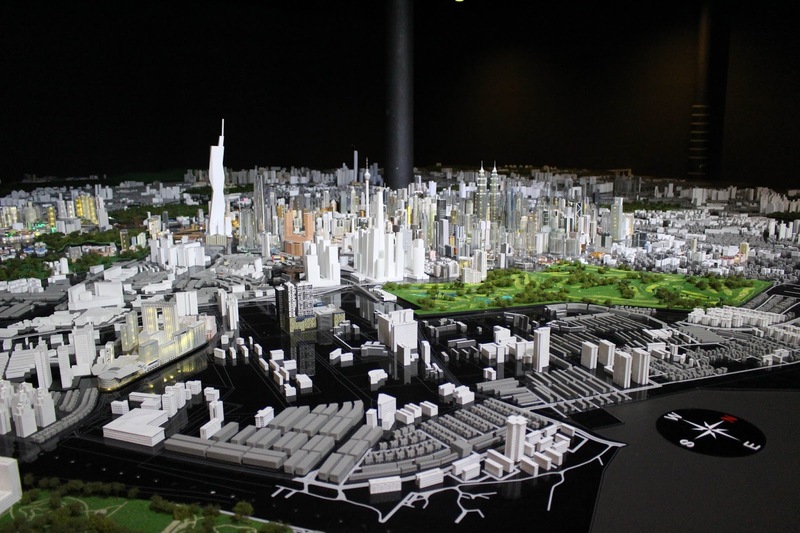 It's on the 38/F as the name suggests, and offers a direct view of the Petrona towers. It was our last night so I thought we could go and have a nice dinner. 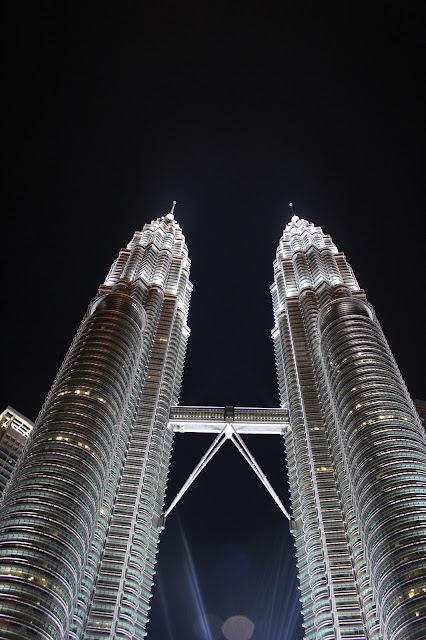 Before heading back to get some rest, we finally went to the front entrance of the Petronas Towers. Not until I stood right beneath the towers did I realize how massive the towers were. Loads of people were trying to take photos with selfie sticks while I was kneeled all the way to the floor trying to fit the towers into my photo. 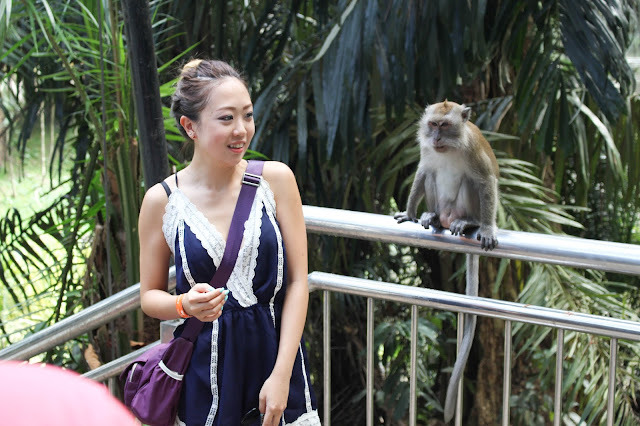 We still had a little time on Sunday morning so we headed to KL Tower to check out the view of the city. There are 2 observation decks, a lower one at 276m, and a taller outdoor open deck (which I'm not sure of the height). The Open deck is only opened to visitors age 13 and above, and you also have to sign a legal document that says something along the lines of "I promise I will not try to jump off the edge." The open deck is great for Panorama photos if you are into those, but the view on the indoor deck is just as good. 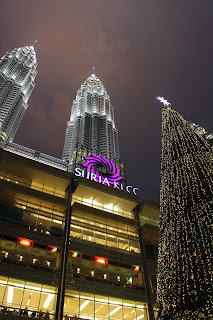 And that concludes the year end / year beginning trip to Malaysia and Indonesia! (Not to mention my last meal was at Nandos at Kuala Lumpur International Airport.) It's really different from the other places I've travelled to. The culture is so mixed and vibrant, and it's just humbling to see the nature that both Malaysia and Indonesia offers. It was really an all-round trip where I saw rainforests, mountains, the ocean, and of course the city as well. I don't know how many sautès I had, and I had curry that tasted different from any other curry I've tasted before. I'm grateful that I am able to and had the opportunity to travel to Malaysia and Indonesia. 2016 travel plans are still coming along, stay tuned! 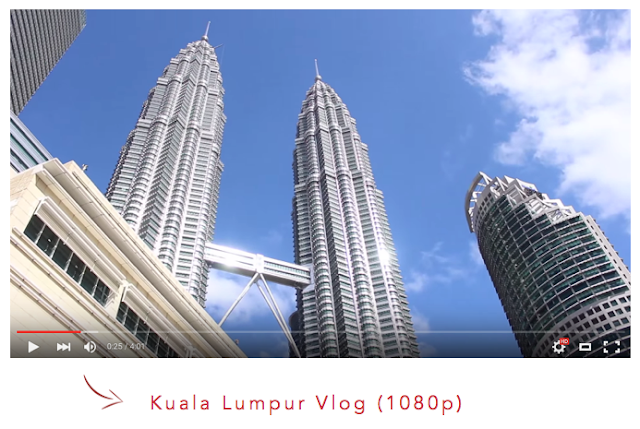 Believe it or not, this is Malaysia.